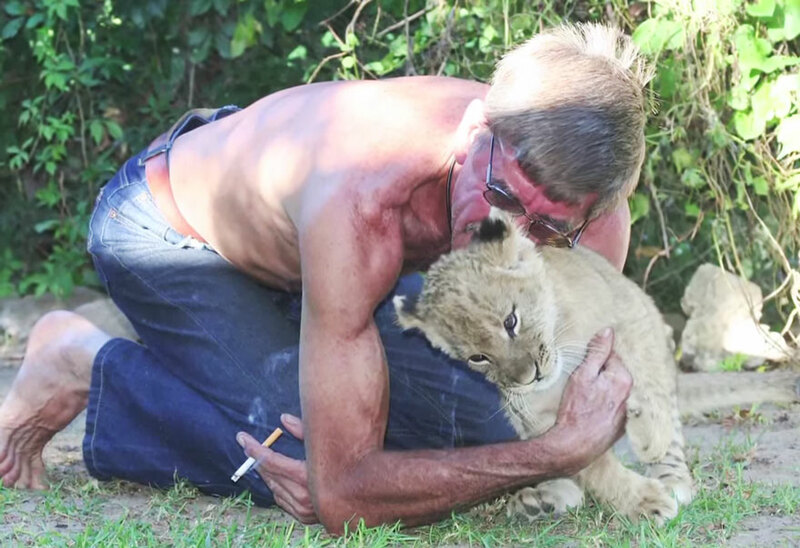 It goes without saying that you should be careful around lions and other wild animals, but that doesn’t mean that they are un-feeling, cold-blooded killers. 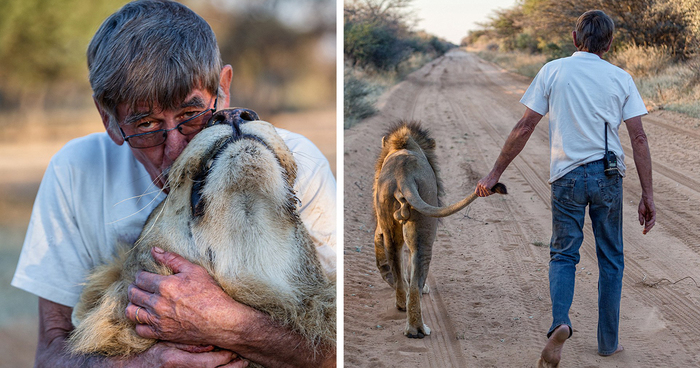 Frikkie Von Solms, a 69-year-old lion caretaker in Southern Africa, knows this perfectly well: he has spent the last 11 raising Zion, a gentle, tender and loving African lion. Zion was born in captivity to a lioness named Simba but had to be separated due to fears that his father would kill him. 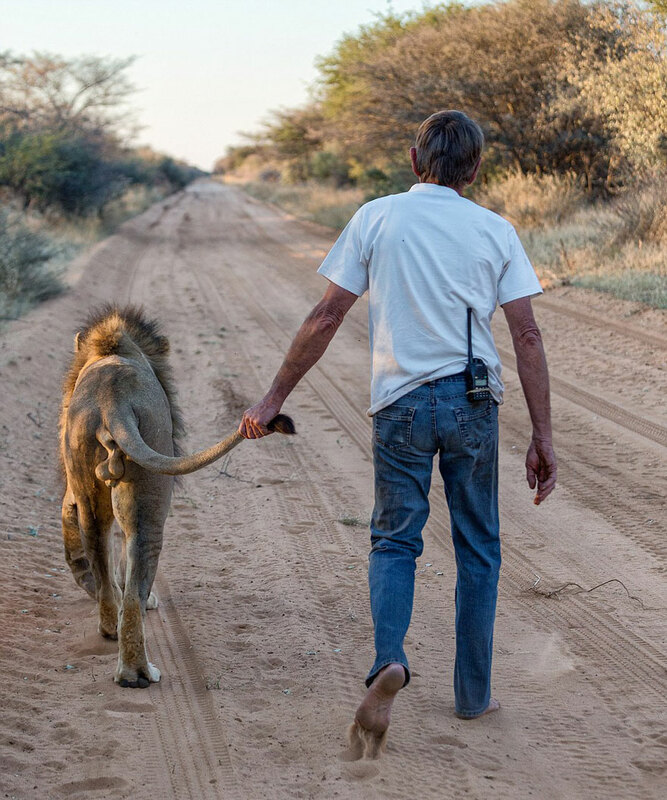 Growing up with Von Solms, Zion has turned into a little softie – when Von Solms goes for a walk with him, he takes his shoes off because their noise bothers the big cat. Amazing. Nothing like sharing a bond with a four footed best friend. 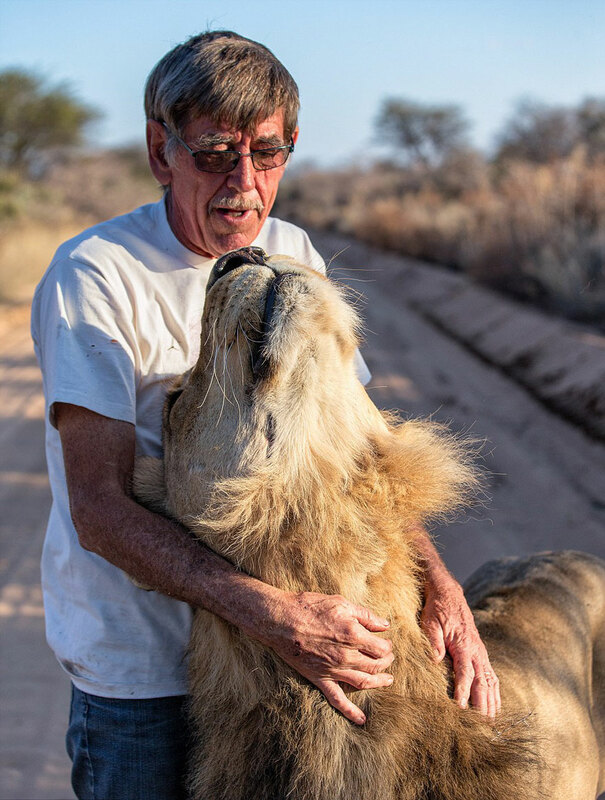 I so love this man and this lion. 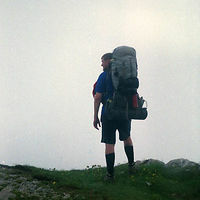 May others take their lead.